Are you looking for puzzles to include logical reasoning and problem-solving strategies within your curriculum? 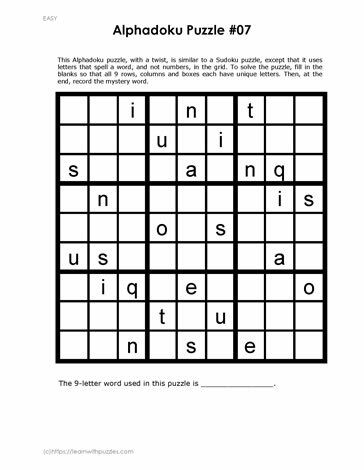 Use Alphadoku puzzles to engage students' brains, incorporating deductive and inductive reasoning to solve the puzzle. To solve the puzzle fill in the blanks with letters instead of numbers like the usual Sudoku puzzles. Use basic Sudoku rules and logical reasoning to fill in the blanks.